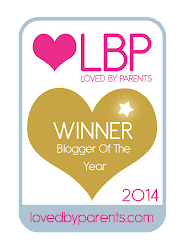 For those of you who read my blog regularly you'll know we recently went on an all inclusive holiday to Cyrpus courtesy of my 'Blogger of the Year 2014' award from Loved By Parents. 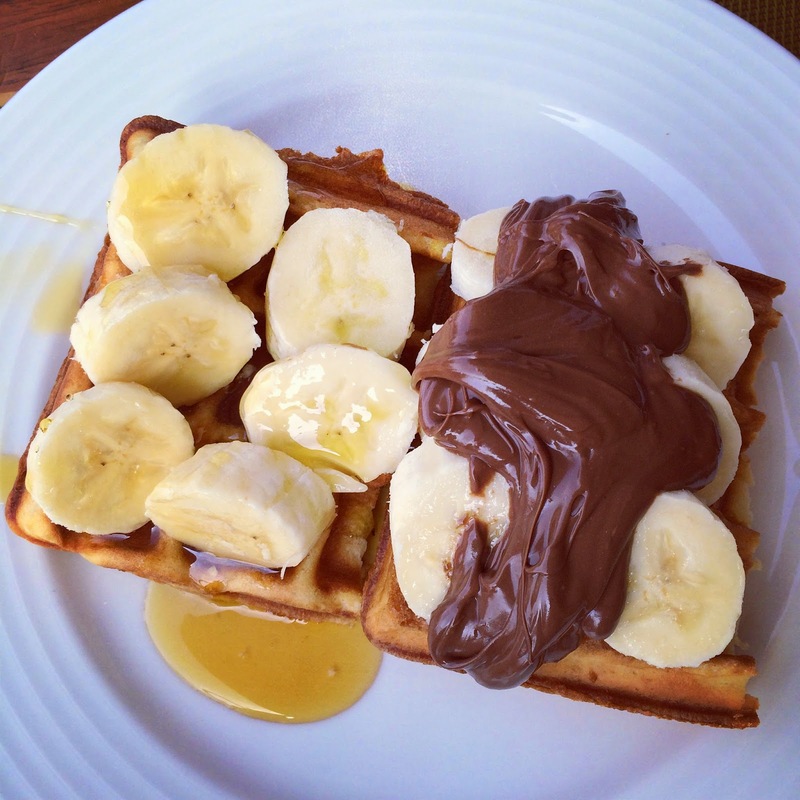 On holiday we had access to the most amazing buffet restaurant and every morning my husband ate the hugest plate of freshly cooked waffles smothered in chocolate spread, maple syrup and chopped banana. He was in waffle heaven. Husband's waffle addiction on holiday left him with a deep waffle-shaped hole in his life on our return! When we arrived home, he had waffle withdrawal, and my griddle pan waffles just weren't cutting it! 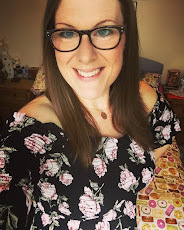 Then I discovered the amazing SMART WAFFLE by Heston Blumenthal from Sage Appliances, and when they agreed to send one over for me to try, well, my husband genuinely looked like he might explode with excitement. I love a kitchen gadget. Any appliance that makes my life easier in the kitchen, can cook an item better than I can, with less mess, and looks beautiful atop my kitchen work surface is a winner in my book. I've now been using the Smart Waffle for well over a month , and blimey...we've eaten a LOT of AMAZING waffles. Can cook all types of waffle from classic, Belgian, buttermilk, and chocolate - you can even develop your own custom setting. Has a no spill moat which catches and cooks escaping batter as the waffle cooks and the batter expands in the irons. NO MESS AT ALL - the waffles slide out of the irons leaving no mess behind. The Waffle IQ settings mean you can select which type of waffle you are cooking, what colour you'd like it to be once baked (light-dark scale of 1-10) and it will calculate the exact cooking time needed to make your waffle just perfect. Double iron cooks two waffles simultaneously. 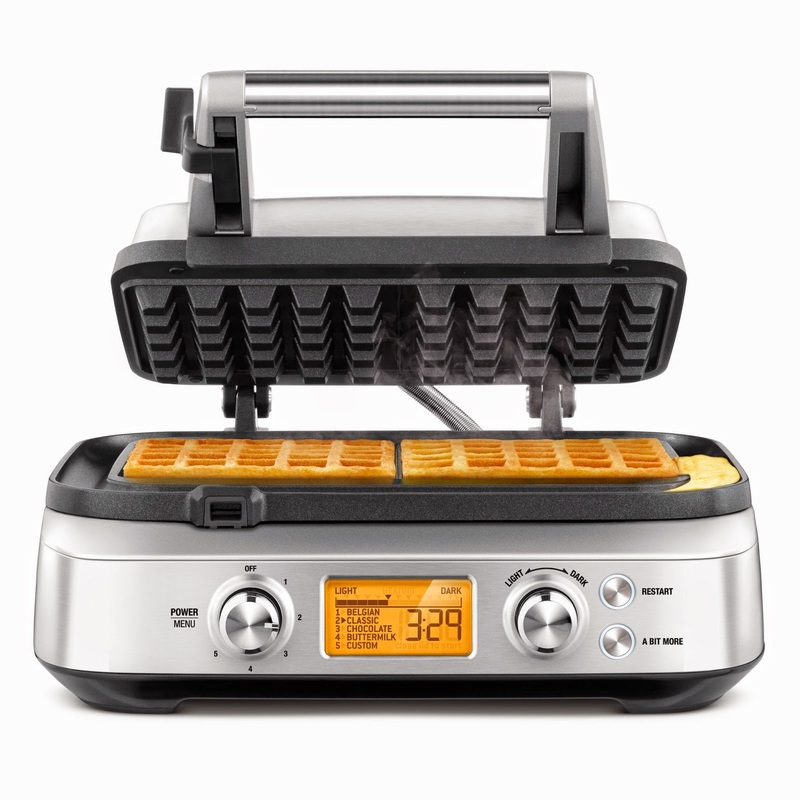 Waffles cook in around 3-5 minutes, and the countdown timer beeps to let you know when waffles are ready. LED display and orange back light. Sleek and beautifully designed machine that looks beautiful atop your kitchen work surface. The 'A Bit More' button allows you to cook your waffles just a little bit extra if you decide you want them a little browner. Measuring cup and recipes included. PRICE £169.95 from Sage Appliances. 1. Select CLASSIC setting and dial up your browning control to your favourite setting (I recommend 4). 2. Preheat until orange light flashes up and the words HEATING disappear. 3. Whisk together the eggs, milk, butter and vanilla in a medium sized bowl and set aside. 4. Combine flour and sugar in a large bowl, and make a well in the centre. 5. Gradually whisk the milk mixture into the dry ingredients to form a thick batter. Don't worry if there are a few lumps. 6. Using the waffle dosing cup, pour 1/2 cup of batter into each waffle square. Close lid and cook until timer has finished and ready beep has sounded 3 times. A waffle stack that dreams are made of! 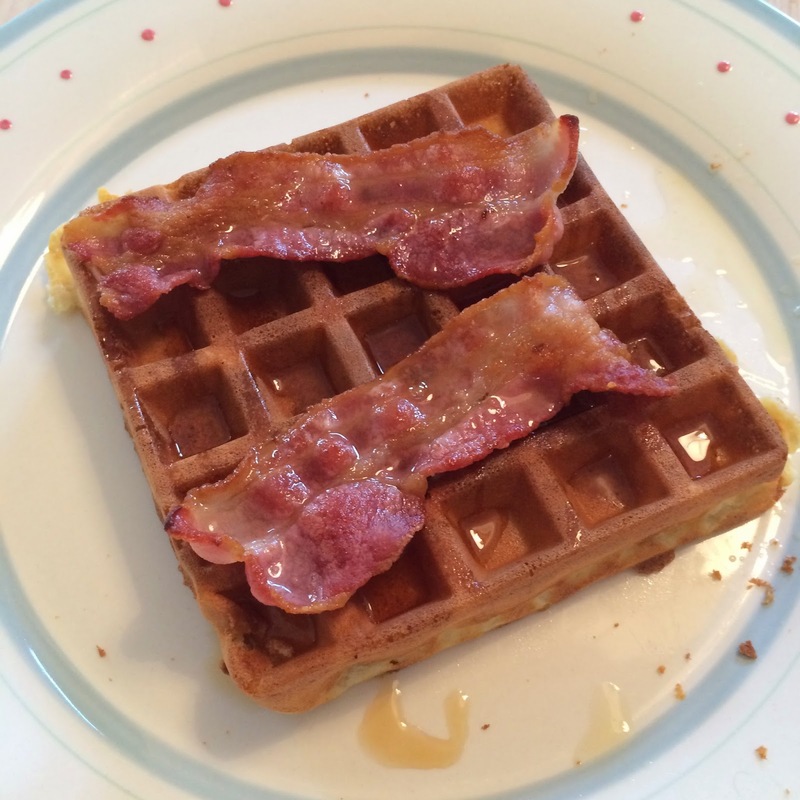 My favourite topping - maple syrup and streaky bacon! Yes! 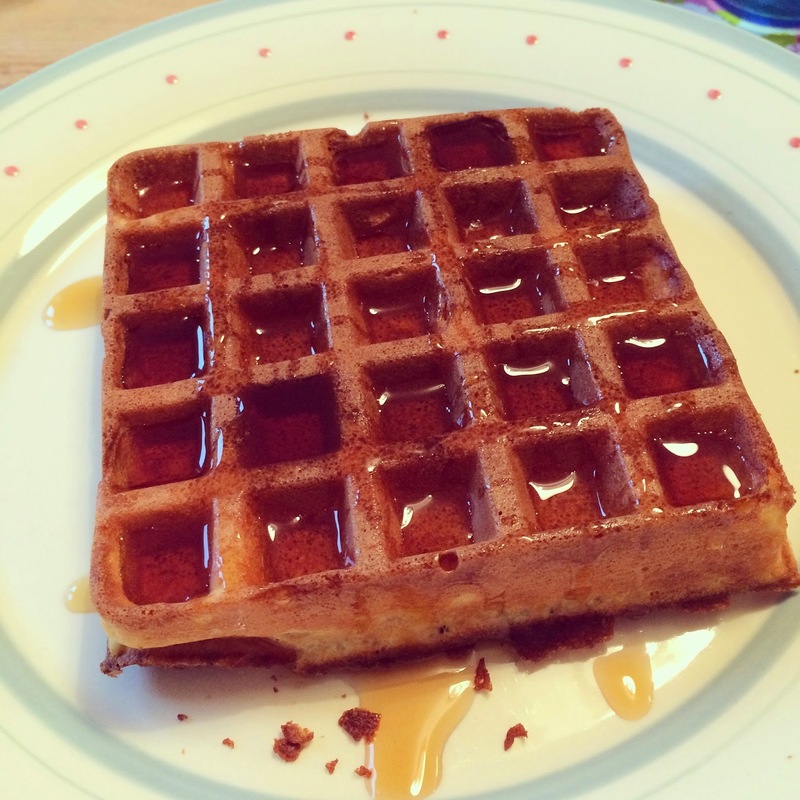 Warm straight from the iron waffle soaked in oodles of sweet maple syrup … Mmmmm! 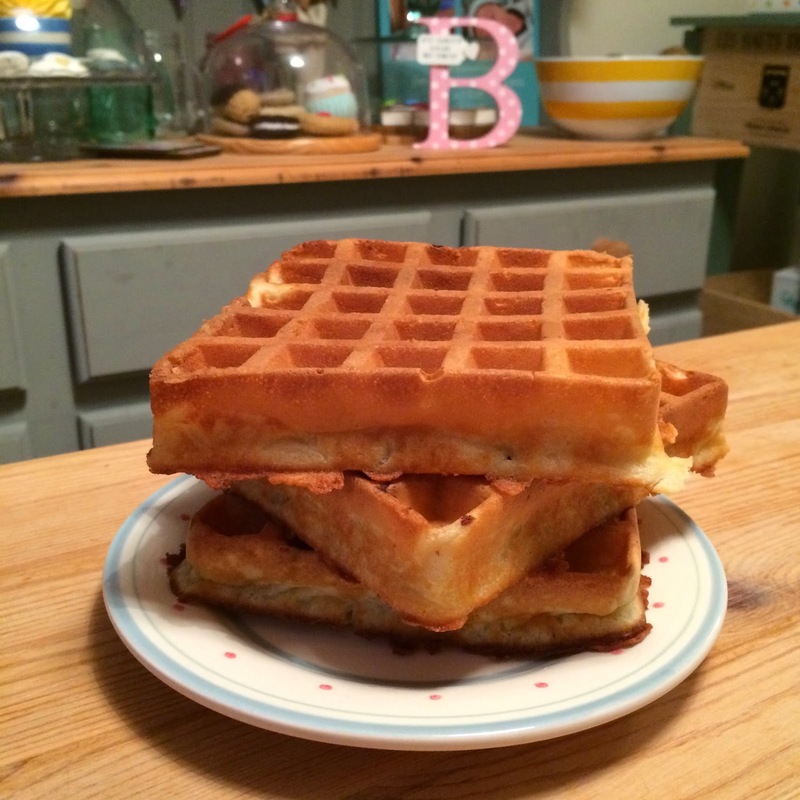 If you are a waffle loving family, if you've ever enjoyed a waffle in France or Belgium, or out in a restaurant and thought 'I wish I could make these at home' - now you can. Get yourself this amazing bit of a kit, and you'll be feasting on the best waffles in town in your own home. Remember, Christmas is coming…if you ask Santa really nicely you might just get a waffle-iron shaped surprise come Christmas morning. Happy waffle munching my lovelies! Or, on their YouTube here. 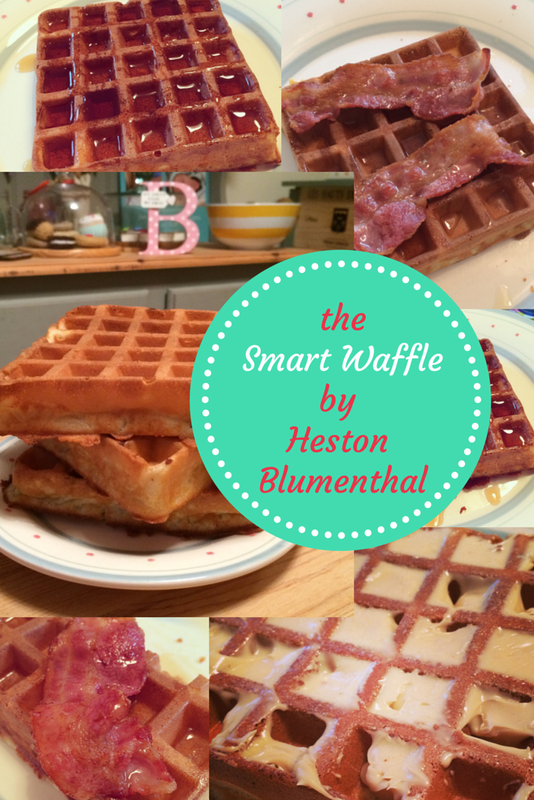 Disclaimer: I was sent a Smart Waffle by Heston Blumenthal from Sage Appliances for the purpose of this review. All words, opinions and images are my own (excluding the first image of the waffle iron, which is from Sage Appliances). I love my waffles the same way! Nice review! oh my gosh, those waffles all look so good! Everyone recommends and prefer a particular brand of appliances, but it may prove inadequate since user needs vary a lot. Do you want to buy the best cat ear headphones? Are you looking for some of the best models? At Freaky Pets, ariana grande cat ear headphones come with a nice and impressive designs and permium quality. These cute soft vans cat shoes are everything that you need to get through the harsh and cold winters. These one sizes fit all slippers keep your feet warm and protected while having them look adorable and cute at the same time. eczema herpeticum in children are most common upto 5 years. There are various baby eczema creams available in the market for quick relief. The use of mulching paper has been proved very beneficial especially for the delicate crops that needed to be taken a lot of care of. Strawberries and raspberries are such crops. Mulching film manufacturers in Maharashtra are constantly striving for building better mulch for these crops. If you are looking for the Best funds managers Australia for your startups, Alleron Investment Management is the best solution for you. Alleron is an Australian boutique wholesale fund manager specialising in Australian equities. Do you know how to create diamond paintings? Let's find out the diamond painting instruction. 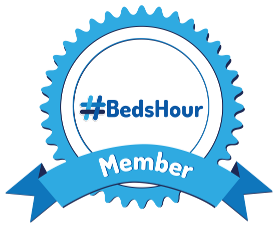 Searching for mulching sheet manufacturers online landed me to your blog. Your biodegradable and compostable mulch films will work wonders in my garden and I also don’t have to worry about plastic waste. Great information provided regarding hedge funds and long short hedge funds. Large and small investors will benefit by this blog enormously. Buy eczema relief oil online on Rekonstrux. Do you know what is a diamond painting? Fund managers tip US to lead global recovery is a great blog published on the strong start of the year by US in the equity super market. Do you know how does eczema diagnosed? coconut oil is the best oil for eczema. I think the recipe you have discussed above is very much delicious and i can't wait to taste this. BTW do you help me find Mandala blogs online? Really helpful blog shared by you, love your recipe. Hear about Diamond art? It is beautiful. See this beautiful tiger painting.